Ensemble’s expertise is rooted in the strength and longevity of its tenured team. Our acumen in asset management, development and operations is embodied in the commitment of our team members in an industry where people are everything. 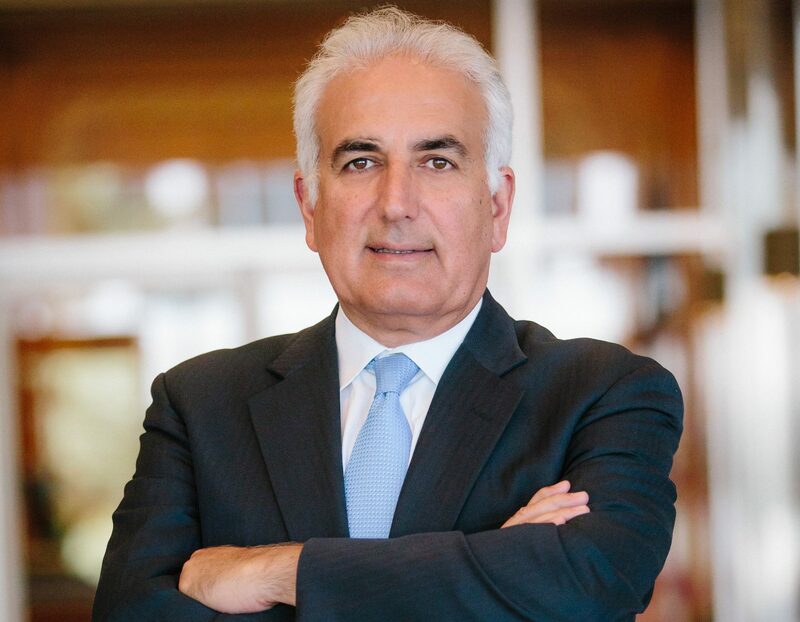 Kambiz “Kam” Babaoff trained in civil engineering, then embarked upon the practical application of science through a number of Los Angeles area hotel development and repositioning projects. Kam’s first development and renovation efforts in the early 1980s included Santa Monica’s Holiday Inn and Bayview Plaza, the Hollywood Roosevelt Hotel and the Ramada Renaissance Hotel in Agoura Hills. Both an engineer and an entrepreneur, he formed Ensemble with the other partners of the company to capitalize on their complementary skillsets. Kam continues to spearhead Ensemble’s non-healthcare investment projects. 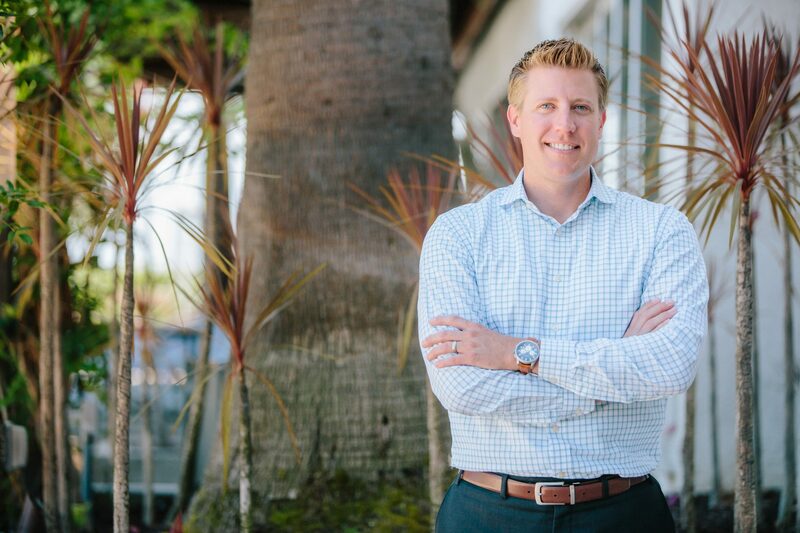 Based in the Long Beach office, he has overseen the development or acquisition of several million square feet of hotel, multifamily and high-density office space for the company including the Long Beach World Trade Center office complex and the 400-room Hilton Hotel and Conference Center. He has developed a reputation for both skilled, diligent responsiveness and innovative thinking. Kam remains dedicated to the cultivation of community-based arts and culture. He is an ongoing supporter of several California municipalities, including the City of Long Beach. Serves on the Board of Directors of a number of non-profit educational and religious organizations. In his free time, Kam enjoys playing polo with his family and friends. 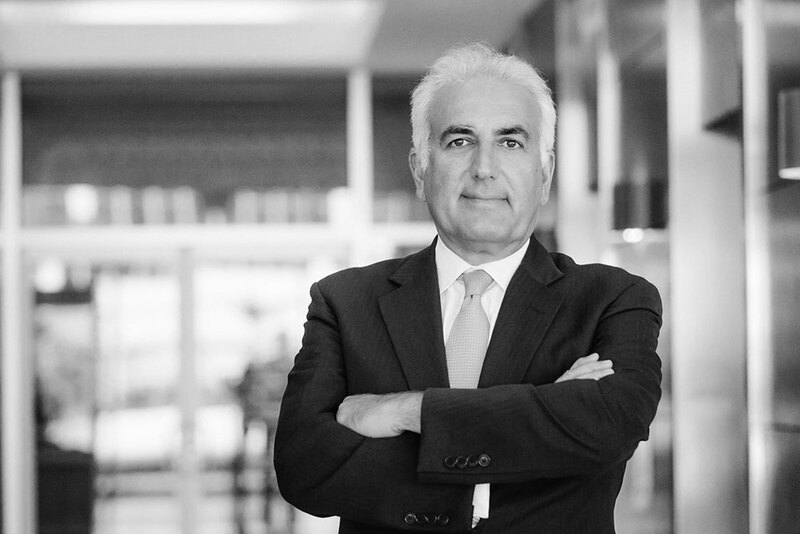 A founding partner of Ensemble, Michael Moskowitz has been involved in commercial real estate for more than 30 years. 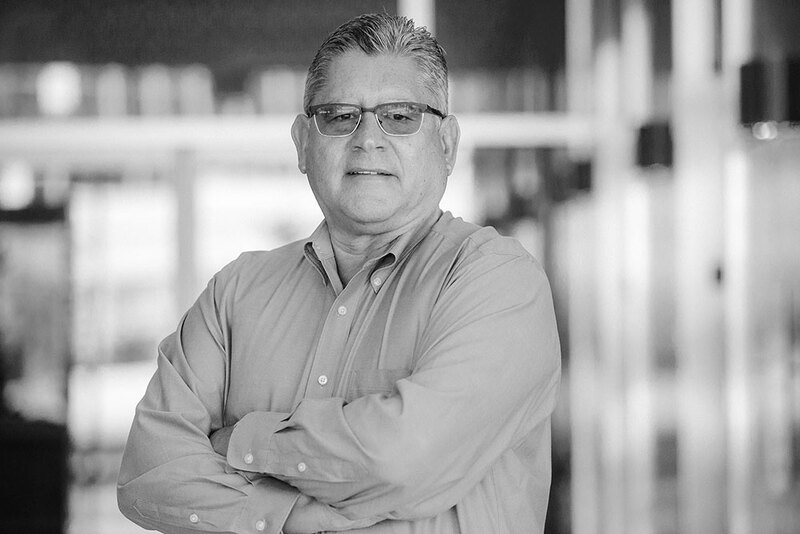 An accomplished developer, Michael has been a leader on many significant hospitality and healthcare projects in multiple states including work in California, Arizona, Nevada, Washington, Texas, Pennsylvania and New York. Early work included acting as the Owner’s Representative on the historic renovation of the Hollywood Roosevelt Hotel and Holiday Inn Bayview Plaza (currently the Le Méridien Delfina Santa Monica). Later, acting as a Principal with Ensemble, Michael oversaw development of the company’s first ground-up healthcare project, the 100,000 SF Thunderbird Paseo Medical Plaza in Glendale as well as numerous other award-winning healthcare projects including the 200,000 SF Saint Mary’s Center for Health in Reno, Nevada. 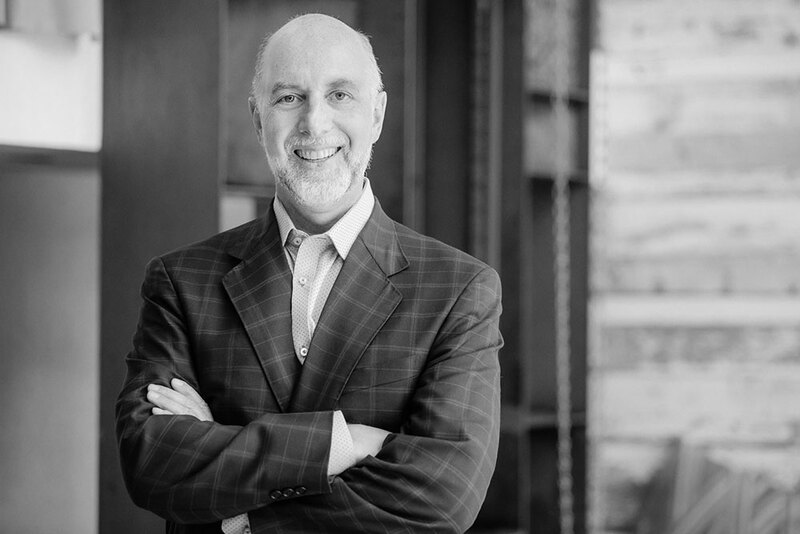 Most recently, Michael has been active as a Principal for Ensemble on all of our ongoing hotel projects. Over his many years working together with his partners at Ensemble, Michael is most proud of helping create and build Ensemble as a company and having fostered and mentored the talent within the company. 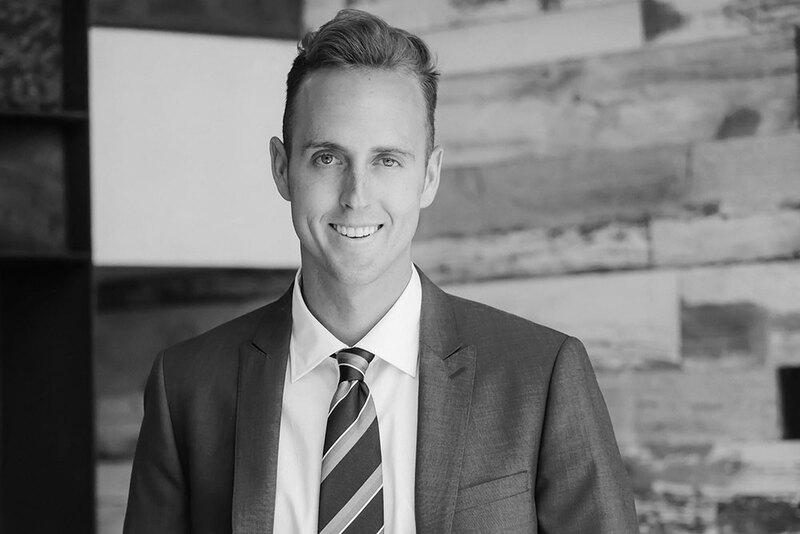 At Ensemble, Michael is primarily responsible for overseeing all development activity, from deal structuring and entitlement through design and construction as well as acting directly as the “Principal In Charge” on numerous projects. 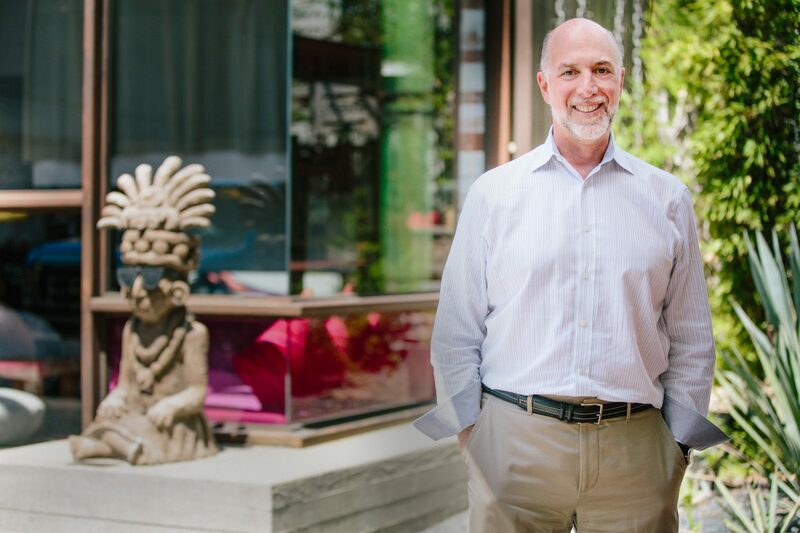 When not in the office, Michael enjoys spending time with his wife Kim Stockdale along with friends and family, cooking, traveling, celebrating and looking at lots of art. By himself, you will likely find Michael taking walks and reading everything from novels and detective stories to economics and science. 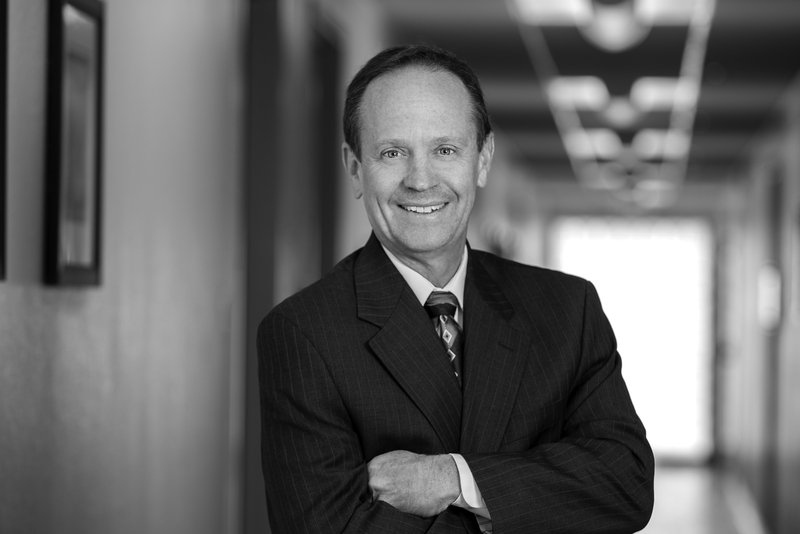 A founding partner of Ensemble, Randy McGrane plays a pivotal role in all aspects of Ensemble’s business model. In addition to working extensively on business development, he oversees all leasing and building operations of Ensemble’s growing portfolio, manages all acquisition and disposition of property and arranges for long-term financing with the institutional debt markets. 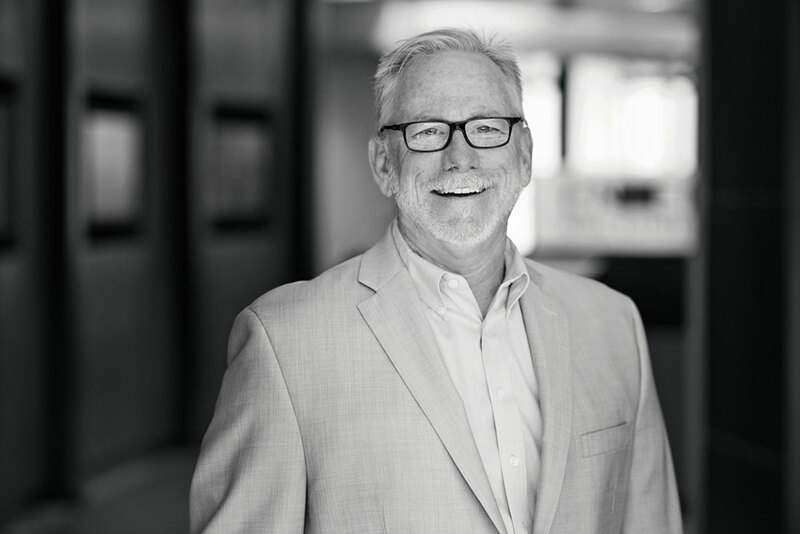 He has cultivated his vast operational expertise throughout his 30-plus year career, which began in the commercial construction industry in California. 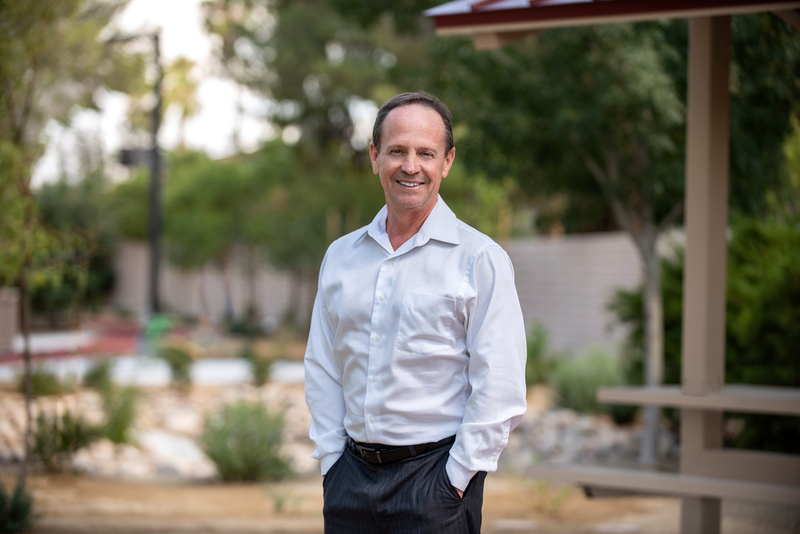 In his capacity as CEO of Ensemble Real Estate Solutions, Randy manages the day-to-day operations of the Phoenix headquarters office, as well as branch offices in Las Vegas, Reno and Long Beach. He is also responsible for leading Ensemble’s senior management committee. Outside the office, Randy is passionate about cooking where he can express his creativity and please people at the same time. And as Randy says, creating a great meal only takes one day, not two years, like real estate development. Joining the company in 2005 as Senior VP of Ensemble Hotel Partners, Ed Proenza became COO in 2012. Previously, Ed spent five years with Hilton Corporation as General Manager of the Long Beach Hilton & Executive Meeting Center. He was General Manager of the Doubletree Hotel & Executive Meeting Center in Rockville, Maryland, where he was named General Manager of the Year. Ed was with Marriott Hotels & Resorts for 19 years in various positions, including Corporate Director of Sales, Reservations and Revenue Management for Courtyard and Fairfield Inn. He also was on the original development team for the Courtyard brand. 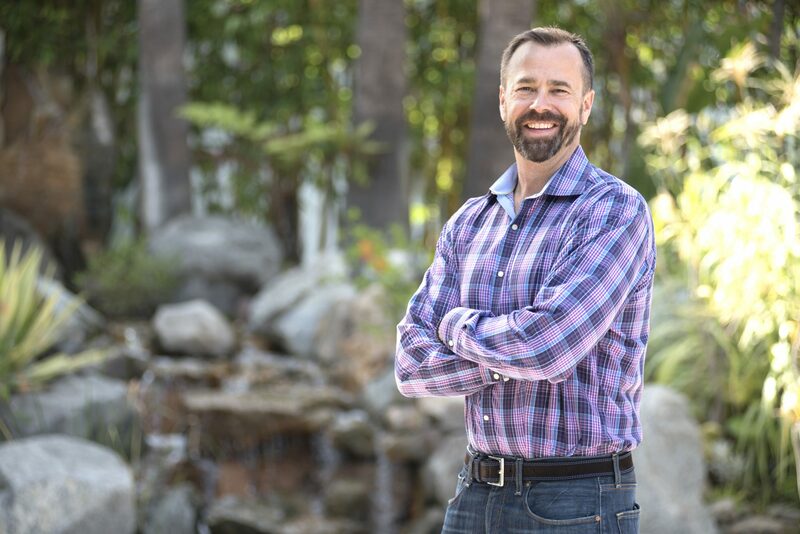 Ed oversees the management of Hotel Maya, a DoubleTree by Hilton, and asset manages the Dream Inn, DoubleTree Carson, and Residence Inn Long Beach. He uses his marketing and operational background to maximize results for owners and investors. 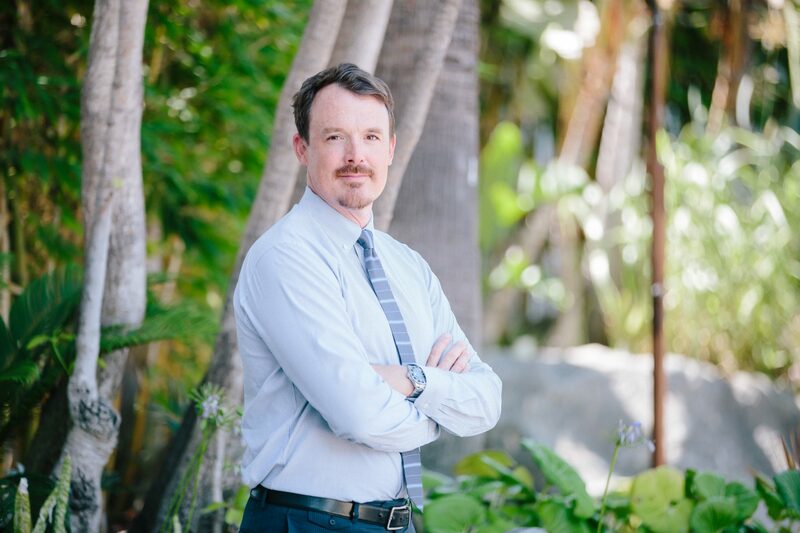 As former chair and current Board Member of the Long Beach Convention and Visitors Bureau, Ed works closely with tourism and city officials to develop tourism and convention business in Long Beach. With two union hotels, Ed works with unions in Northern and Southern California to negotiate the collective bargaining agreements for the respective properties. Ed is an avid baseball fan, and also enjoys theatre and beachside living. 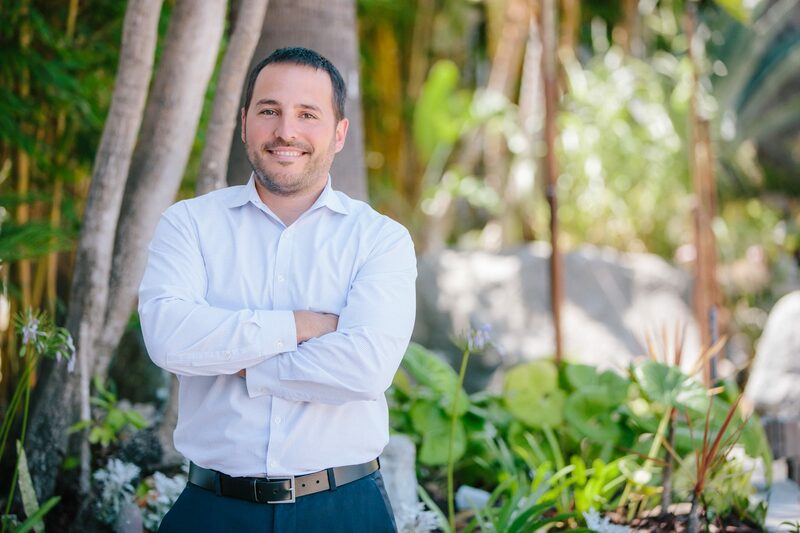 Brian Ehrlich has decades of diverse experience in hospitality real estate. From investment banking and brokerage to his experience as a hotel investment principal, his full view of the market allows him to provide a value-added perspective on all transactions. His background encompasses significant experience in acquisitions, dispositions, management contract negotiations, financing, underwriting, market analysis, and asset management of full-service, select-service and boutique hotels. 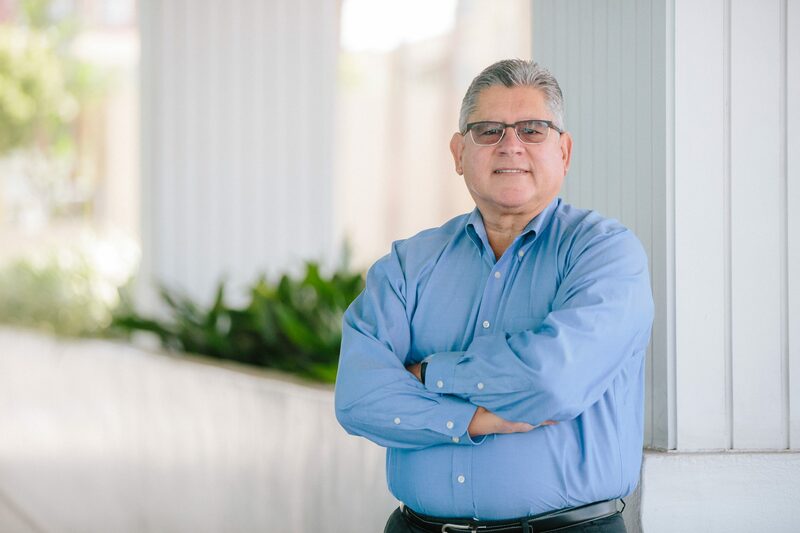 As a result, he has developed wide-ranging contacts throughout the hotel real estate spectrum, including owners, operators, franchisors, lenders, specialty finance companies, brokers, servicers and receivers. 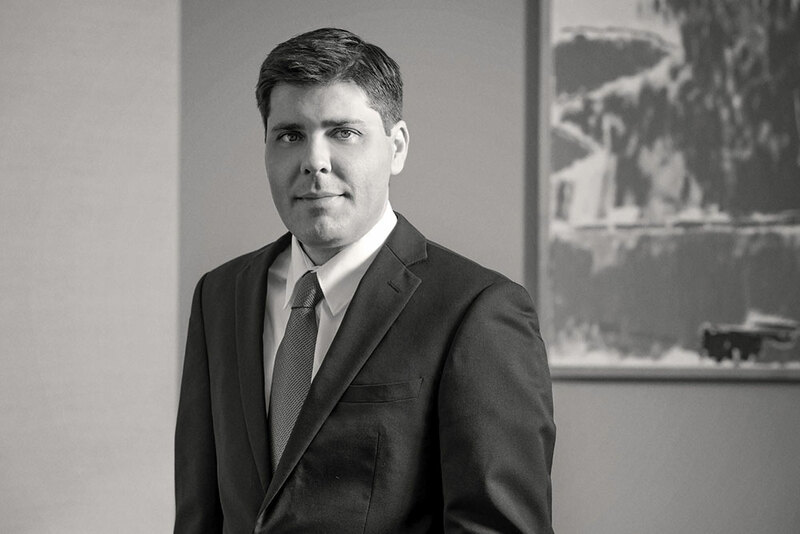 As Chief Investment Officer, Brian researches, evaluates, and analyzes options and information that will lead to optimal decision-making for hotel acquisitions and development. He also oversees third parties and manages the closing and post-closing process to ensure a smooth, successful transition. Brian resides in the Bay Area and enjoys spending time with his wife and three daughters. 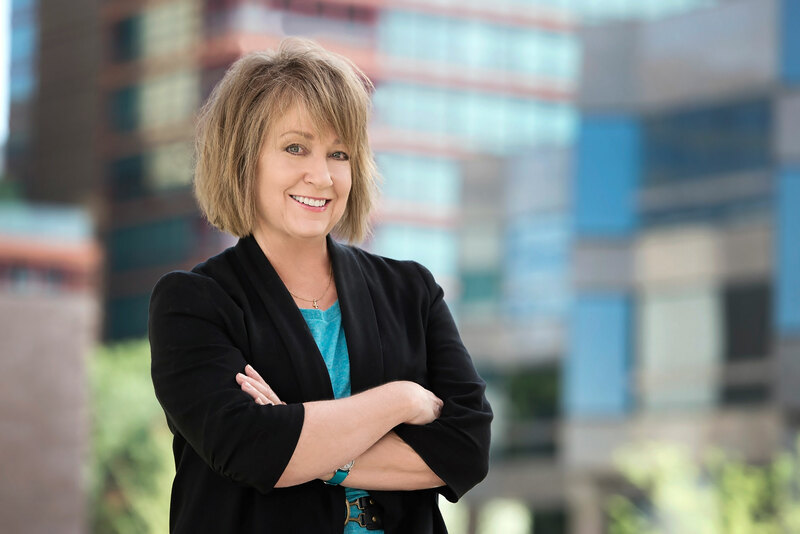 Tracy Altemus is highly recognized in the industry as a trusted real estate professional with nearly 30 years of expertise focusing on the healthcare real estate market. 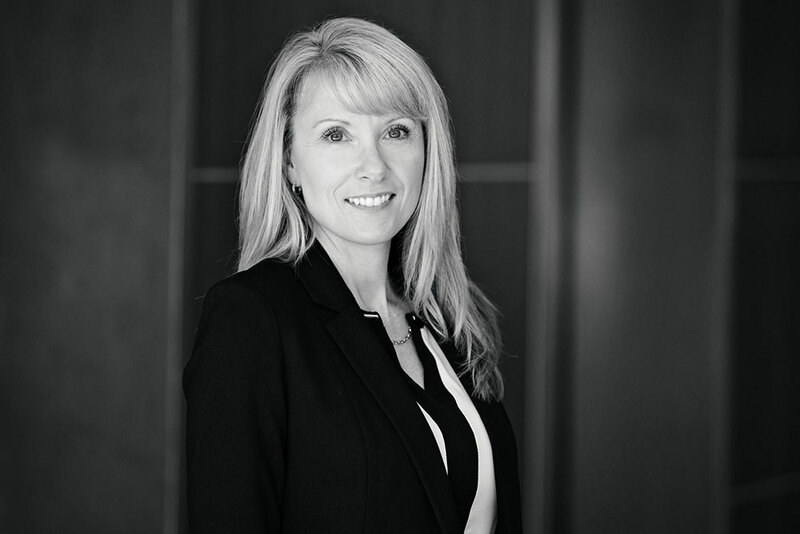 She has represented corporate REITSs, individuals, group practices and third party leasing and investment sales. In addition, Tracy also serves as a member on Ensemble’s senior management committee. At Ensemble, Tracy specializes in leasing, sales and development of healthcare facilities. Preferring a diagnostic approach, she uses her business management and analytical skills to assist clients with demographic, market, investment and comparative lease analysis studies. Her résumé includes an extensive range of lease, development and sales transactions. Tracy’s $21,150,000 sale of Paradise Valley Medical Plaza in November 2006—at $417.20 per square foot—still stands as one of the highest per-square-foot prices ever achieved for a medical office investment in Arizona. Tracy is an avid international traveler. She also enjoys cooking, wine tasting and listening to audio books. Jazzercise is her latest form of de-stressing! 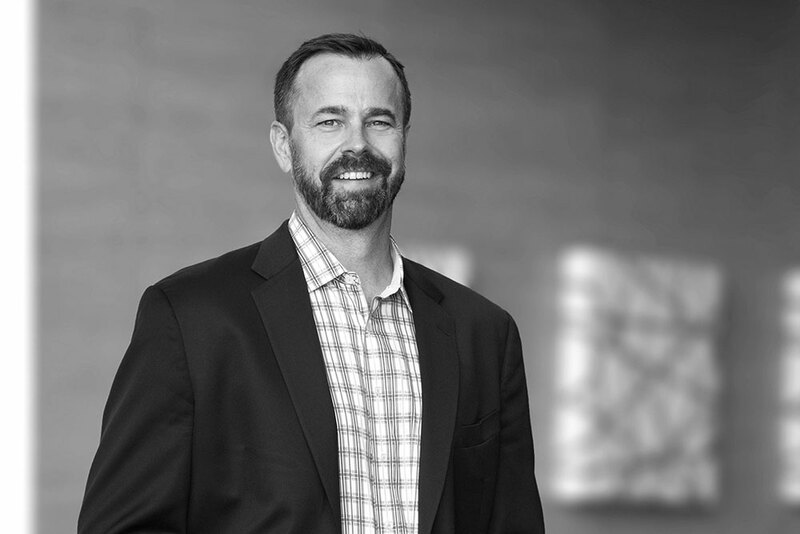 An experienced real estate executive with an 18-year track record of delivering superior project investment returns, Tyson Sayles oversees Ensemble’s multifamily group and its commitment in developing inspiring, transformative places that people call home. Previously, Tyson was the Fund Manager for CityView Southwest Multifamily Partners, a fund that purchased and renovated apartments in the Southwestern U.S. Earlier, he worked with the residential division of The KOR Group, overseeing the acquisition, renovation, recapitalization, construction and/or disposition of over 4,000 multifamily units valued at approximately $1 billion. Tyson’s role at Ensemble is focused on urban multifamily and mixed-use opportunities, including re-use acquisitions and new developments. 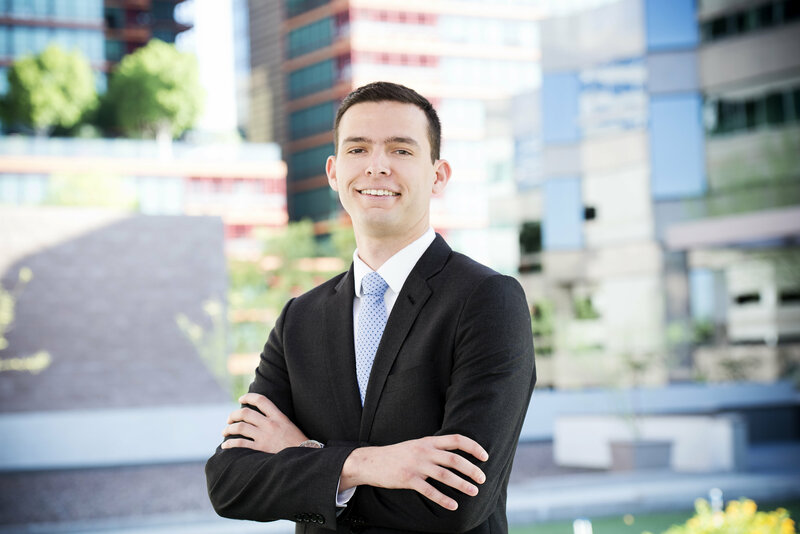 He researches, evaluates and analyzes options and information that will lead to optimal decision-making for real estate acquisitions and development. 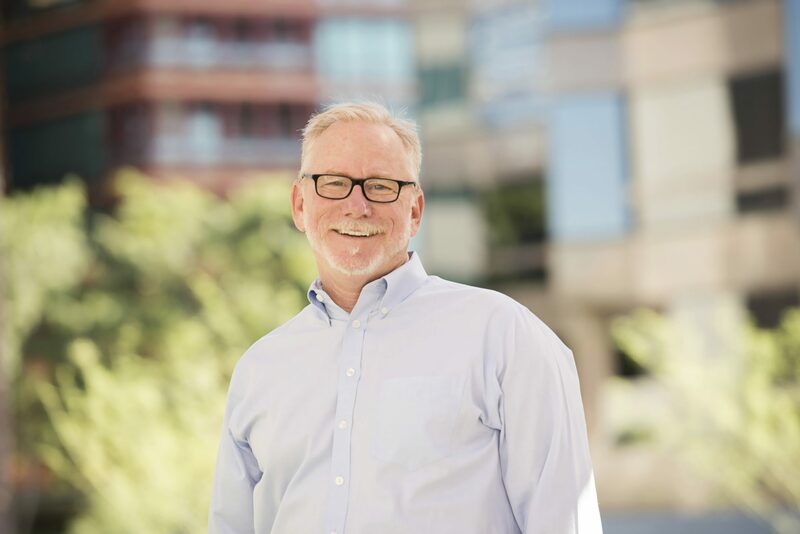 Conrad Garner’s extensive financial and architectural background provides a broad base of knowledge that facilitates a diverse understanding of real estate development. Operating out of Ensemble’s Long Beach office, Conrad has managed more than $550M of hospitality, commercial and medical office developments. This includes over 2,200 hotel keys with major brands of Marriott, Hyatt, and Hilton as well as boutique independent products; urban mixed-use multi-family, and class-A medical office space. Conrad’s primary responsibility is the oversight and management of the successful execution of the company’s real estate investment objectives. Conrad and his development department manage all planning, design, entitlement, and construction of the company’s ground-up new build, value-add renovation, and asset re-positioning endeavors. His team is accountable for all investor reporting during construction along with oversight of construction lending relationships and loan administration. When not in the office, Conrad enjoys raising his young family, traveling, and the occasional round of golf. 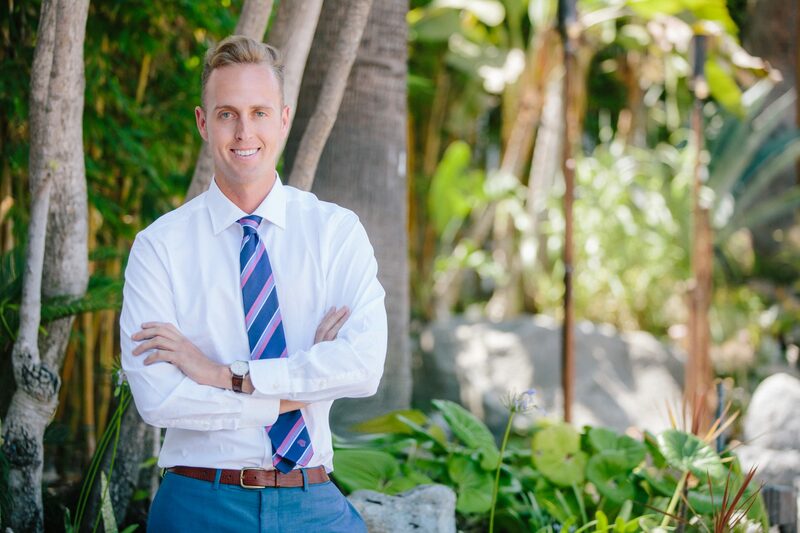 Fulfilling a childhood passion to be in Real Estate, Jacob Owen has flourished at Ensemble since joining the team in 2005. Prior to Ensemble, Jacob was at Universal Mortgage, a successful boutique mortgage lender in New York City. 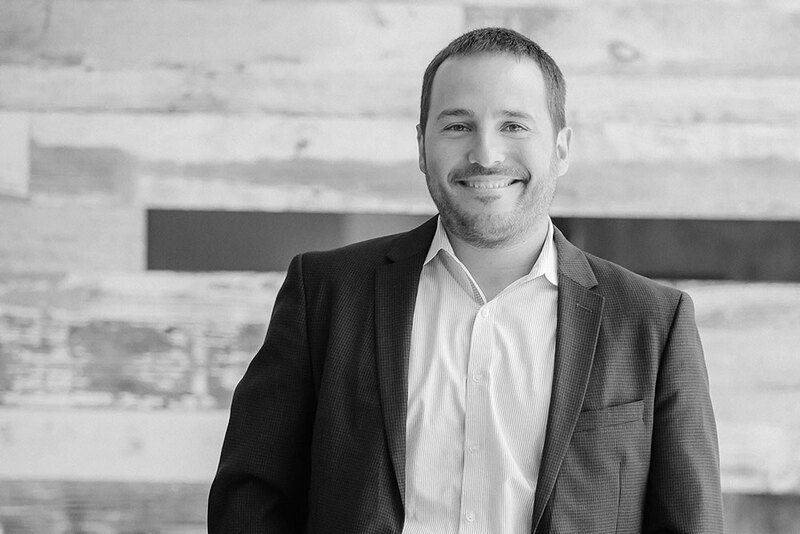 As Senior Vice President, Jacob and his team are responsible for the feasibility, execution, capitalization, and asset management of Ensemble’s new and existing investments. Through these endeavors, Jacob has structured and deployed well over $750 million of capital while at Ensemble which has span across hotel, multi-family and office assets. A native of Seattle, Jacob now lives in Los Angeles with his wife and four children. In those rare moments of free time, he can usually be found backpacking somewhere in the lower 48. Robert Mazakis has more than 20 progressive years of accounting experience. Prior to joining Ensemble, he spent nearly five years as the Chief Financial Officer of a real estate development and brokerage firm, overseeing all aspects of accounting and treasury management for multiple joint ventures and investor funds that acquired over 40 operating retail centers during his tenure. He was also responsible for the financing of several of the company’s assets. Robert serves as the final point of contact for any client concerns or issues, implements clients’ processes, oversees clients’ cash management including cash receipts, and provides strategic operational and management leadership, planning and oversight of the financial resources of the firm. He additionally provides financial reporting for tax and audit purposes, insurance/risk for all properties, and oversees the organization’s internal accounting staff. Robert enjoys international travel in his spare time. Jason is responsible for the smooth and efficient day-to-day operations at Ensemble. He also serves as a member on Ensemble’s senior management committee. Above all, Jason is always willing to go the extra mile to meet the company’s objectives. Jason is a sports enthusiast and also enjoys staying active with weight training. His favorite pastimes include playing video games, and spending time with his family—especially during their annual trip to Disneyland. 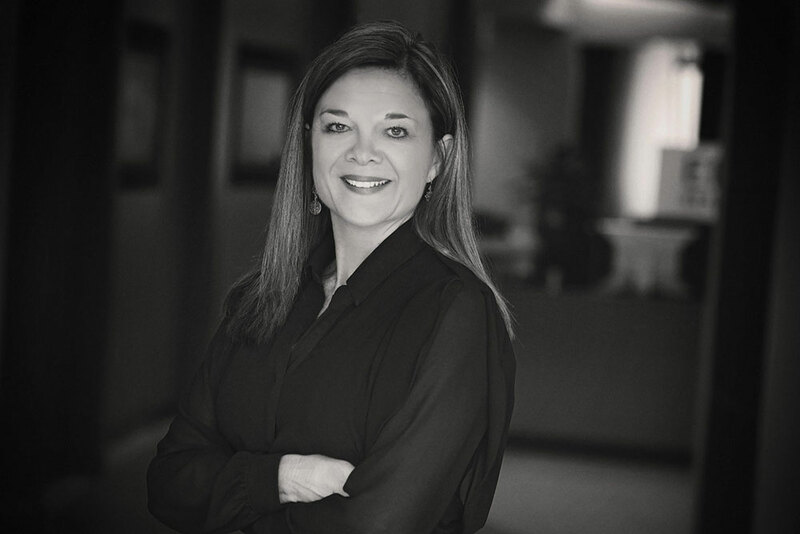 With an extensive background in real estate that spans more than 20 years, Linda Borgeson has been with Ensemble since 2002. She spent 12 years in commercial real estate management in Denver, as well as several years in mortgage banking. Linda’s strong organizational and management skills and her attention to detail assure the high level of service for which Ensemble’s property management department is known. Linda oversees Ensemble’s Property Management Group. In this role, she and her staff are responsible for providing a full range of management services, including lease administration, cost saving evaluations, energy use analysis, maintenance, security and daily operations. 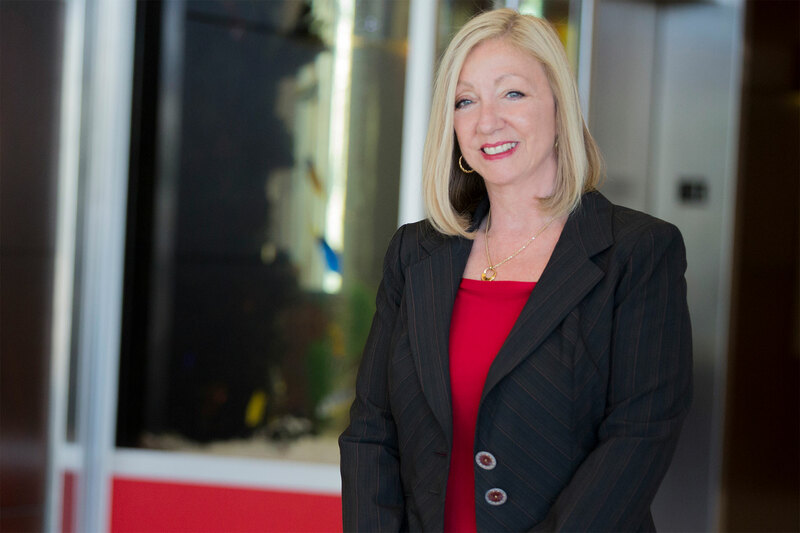 Linda and her team currently manage portfolios in Arizona, California and Nevada consisting of 52 properties totaling three million square feet. Her additional responsibilities include serving as a member on Ensemble’s senior management committee. Linda enjoys dog training, playing tennis and volunteering for the Arizona Humane Society. As partner of Ensemble, Bill Molloy plays a pivotal role in all aspects of Ensemble’s business model. Bill began his career in hospital administration as Vice President for Operations at Phoenix Memorial Hospital. 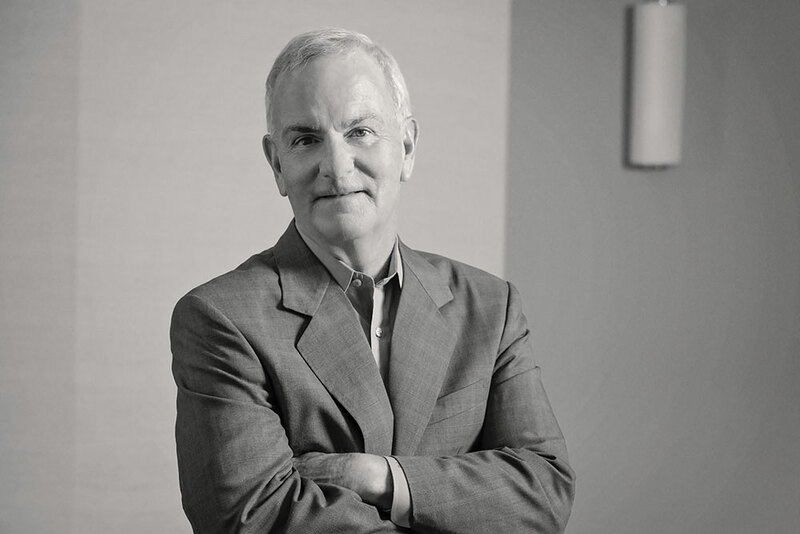 In 1981, he transitioned into healthcare real estate and founded the DevMan Company. 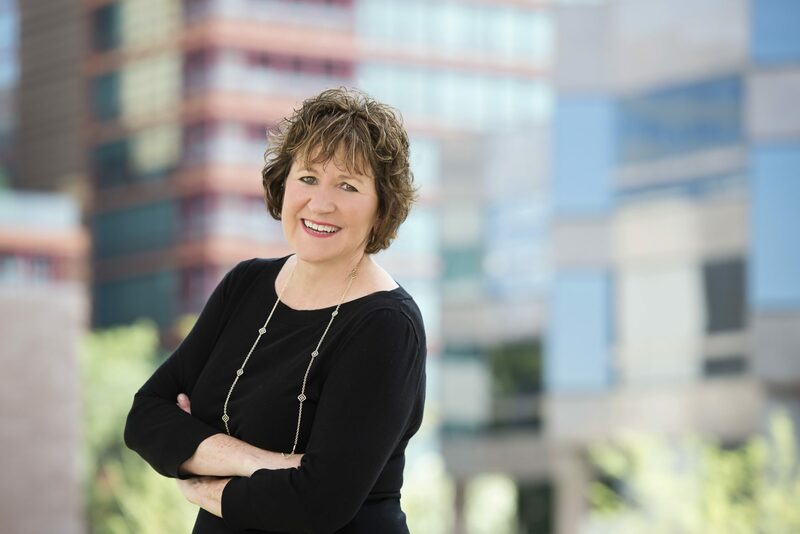 In 2008, DevMan merged with Ensemble, forming the largest full-service brokerage company in Arizona, dedicated to serving healthcare providers and institutions. Bill has been directly involved in the development of numerous medical office building projects during his over 30 years in the industry, including the recently completed Surprise Medical Plaza at The City, a 35,000-square-foot medical office building anchored by Banner Health Services. Marina Hammersmith brings to Ensemble more than 20 years of hands-on experience in leasing, property management and healthcare asset management. 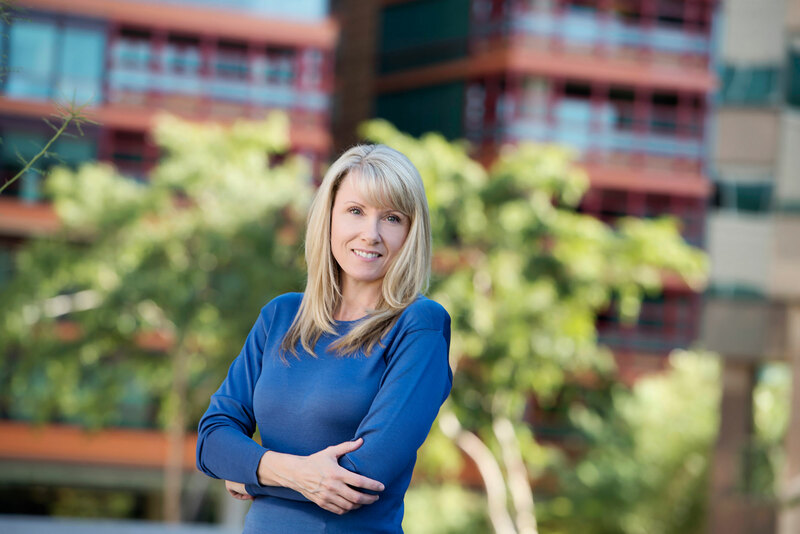 Since joining the company in 1999, she has developed a widely known expertise as a landlord representative at numerous hospital campus and off-campus locations throughout the Phoenix Metropolitan Area. Marina is recognized for a patient, flexible approach to landlord and tenant representation within the healthcare real estate sector. She has spent her entire adult life working in real estate providing property and asset management services as well as tenant improvement project management. She’s been actively involved in several ground-up development projects. 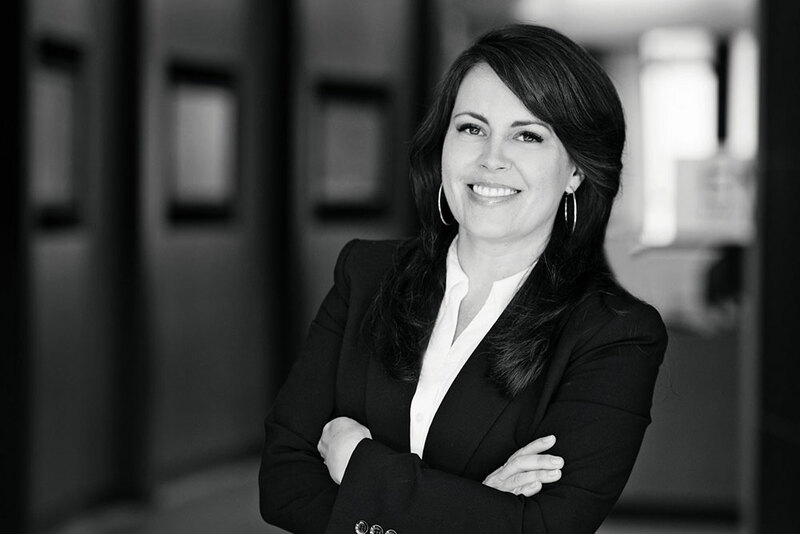 Her strong diversity provides a depth of understanding that has proven invaluable in assisting clients through the nuances of real estate transactions. During her tenure at Ensemble, she has successfully negotiated thousands of transactions ranging from land and multi-tenanted MOB purchases and sales to all specialties of healthcare leases. Marina enjoys outdoor activities such as hiking and playing with her two young boys. She has been skydiving and scuba diving and is most happy behind the lens of a camera. An experienced professional, Donica Gorra is Vice President of Finance for Ensemble. 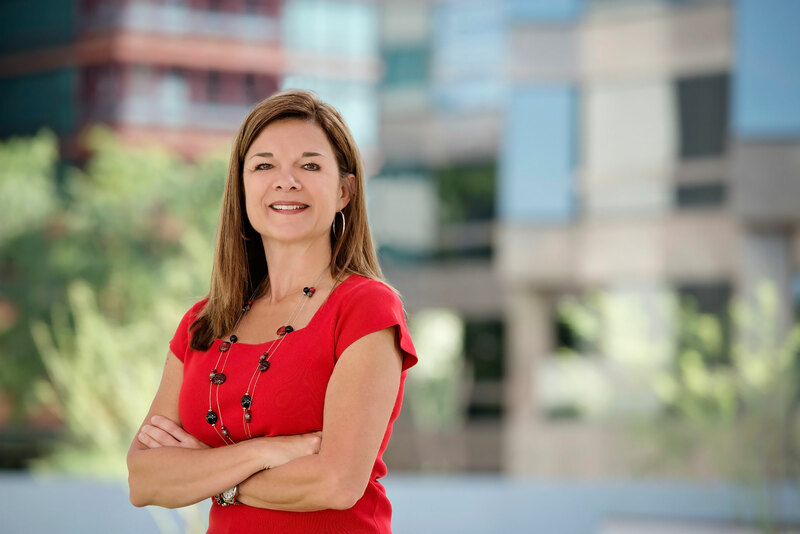 Previously, she was Vice President at National Bank of Arizona in Phoenix, where she spent 14 years as a commercial real estate lender. 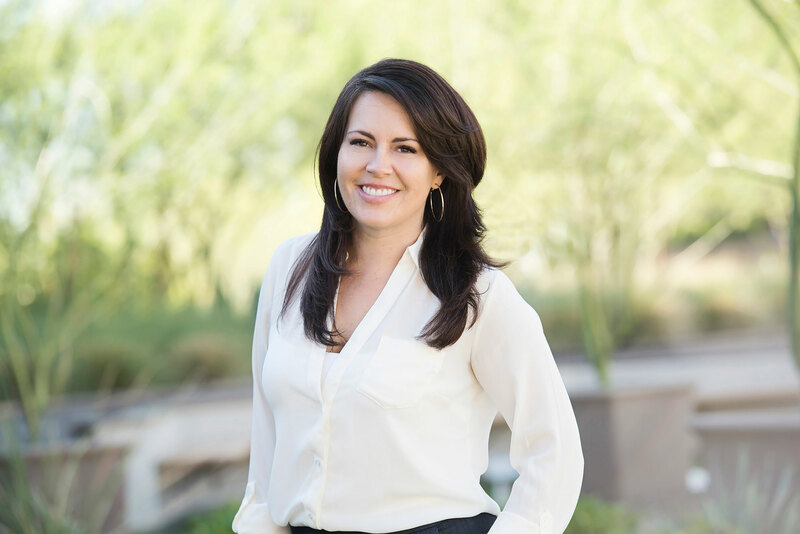 In years prior, Donica enjoyed six years in the commercial mortgage banking industry, holding various positions at two separate boutique companies in Scottsdale and Phoenix, Arizona. Donica serves as Ensemble’s primary lender liaison and also facilitates construction and term loan closing activities for the company’s real estate portfolio. In between loan closings, she plays an active role in sourcing new lending relationships to provide construction financing for the company’s CRE development pipeline. Donica also provides valuable consultation to the company’s third party owner clients when seeking debt for their commercial real estate properties. Donica loves to take her dogs hiking, ride her Harley on long trips, take beginner cross-fit classes, and cook and entertain friends and family with dinner parties. 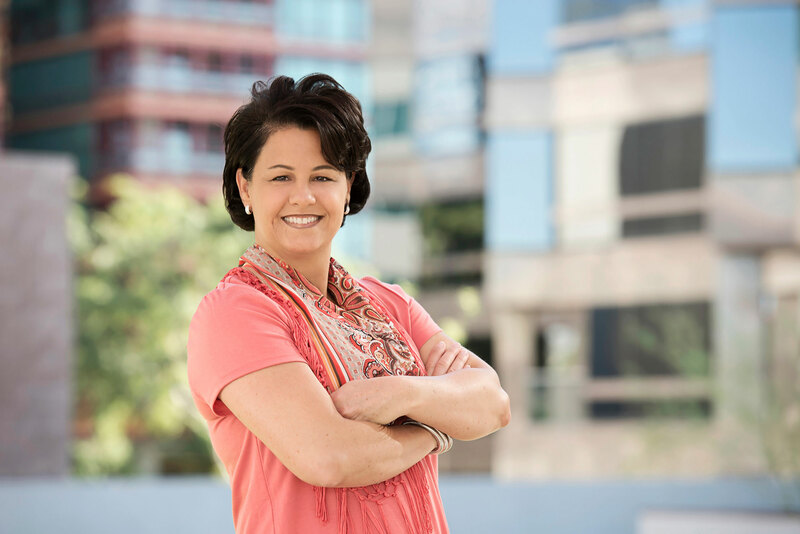 Roni Gould has more than 25 years of experience in commercial real estate working with many successful real estate companies. 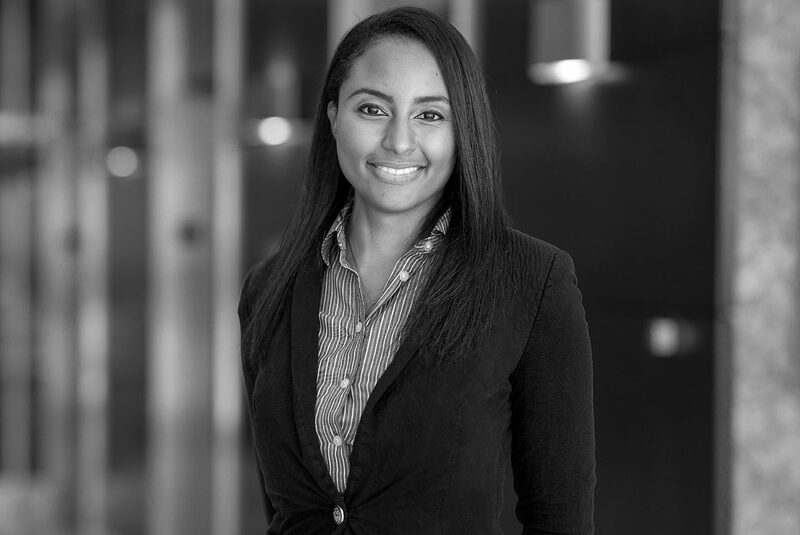 Prior to joining Ensemble, she excelled in a variety of management and leasing positions, both as a key executive and then later through her independent consulting practice. In 2005, Roni was promoted to Senior Vice President where her experience and insights are valuable assets to Ensemble’s corporate strategic planning. On a day-to-day basis, Roni oversees the asset management and leasing for Ensemble’s Southern California market. Her responsibilities also include portfolio-wide special projects and assisting with acquisitions and development. She enjoys the diversity and challenge of being able to create innovative solutions that successfully meet the wide-ranging needs of the general business tenant to the medical community’s continually changing requirements. Outside of work, Roni paints watercolors and enjoys taking adventures in hiking and wine tasting. 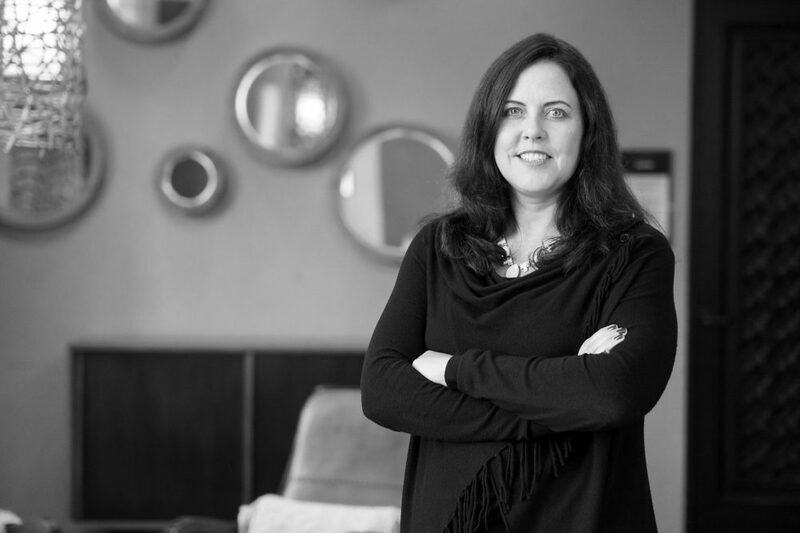 Kristi initially joined Ensemble in 2010 to lead Hotel Maya and create an all-new hotel asset management company to include operating procedures and systems, policies, structure and benefit programs. As the hotel’s General Manager, she led the complete conversion of the 199-room resort to a DoubleTree by Hilton brand. 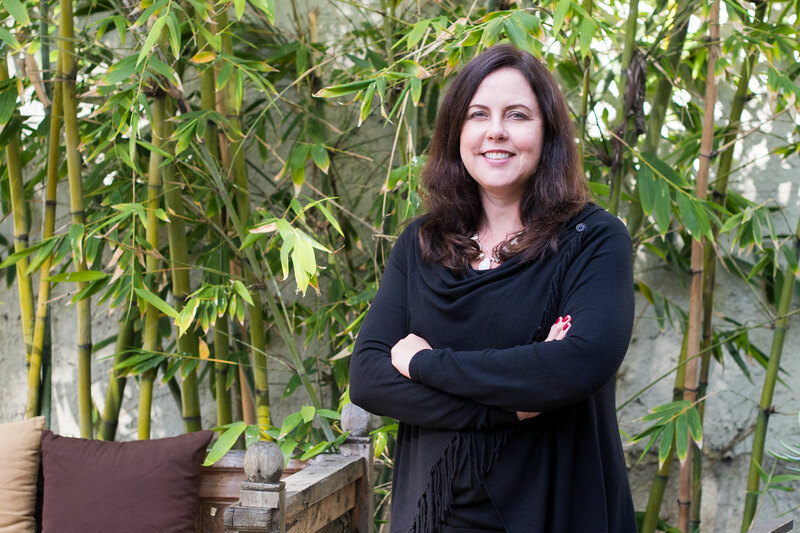 Previously, Kristi was General Manager of the 397-room Long Beach Hilton and Executive Meeting Center, and also led the brand conversion of the Park Hyatt Hotel to the Le Meridien San Francisco. In years prior she worked at a variety of hotels in several different cities across the country. 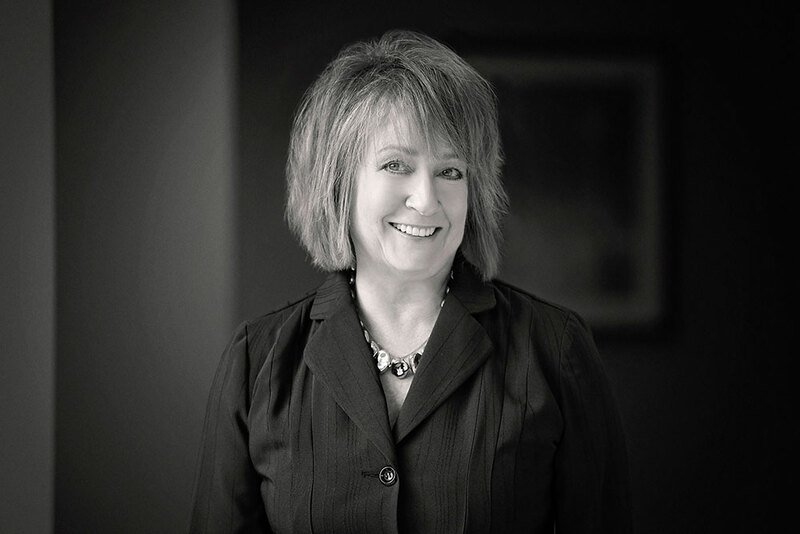 A highly experience professional who has been with Ensemble for seven years, Kristi is responsible for the management of Hotel Maya and also oversees the Carson DoubleTree. Additionally, she is in charge of the asset management responsibilities of the Phoenix Marriott Mesa hotel as well as Residence Inn by Marriott in Long Beach. In her free time, Kristi enjoys walking, traveling, and a variety of beach activities. 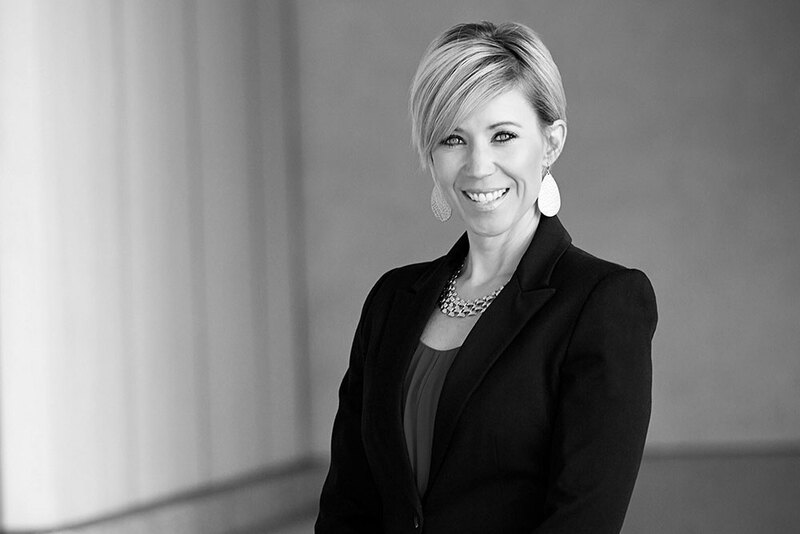 Jamie Krahne brings more than 15 years of commercial real estate expertise to her duties at Ensemble, which includes asset management of a multi-state, 20-million-square-foot industrial portfolio and a 3.2-million-square-foot medical and office portfolio located in Nevada. 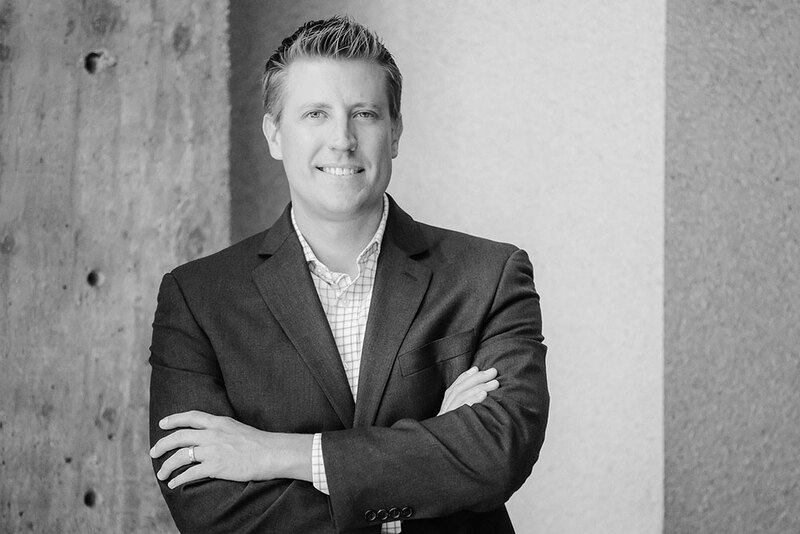 At Ensemble, Jamie oversees leasing, marketing, property management and construction management for the company’s Reno, Nevada properties. She also acts as a tenant representative working on behalf of both private physician groups and various healthcare systems, marrying her experience of healthcare brokerage with construction management allowing her to oversee the transaction from lease negotiation through space delivery. Her solution-based approach includes staying up-to-date on changing market conditions and maintaining key relationships. Jamie takes advantage of all of Reno/Tahoe’s outdoor fun, including snow skiing, water skiing, hiking and mountain biking. When not outdoors, you can find her reading the latest best seller, watching political documentaries or spending time with family. An experienced leasing professional, Robert brings extensive expertise and insight to Ensemble. He has worked for regional developers and national real estate brokerage firms, and has owned his own company. Past assignments that have benefited from Robert’s involvement are many, including Bank of America, Aetna, Blackstone, Great American Capital, Transamerica, MarineMax, Gold’s Gym, Michaels, First Republic Bank, Southwest Theaters, RD Management, MIG Real Estate, and more. 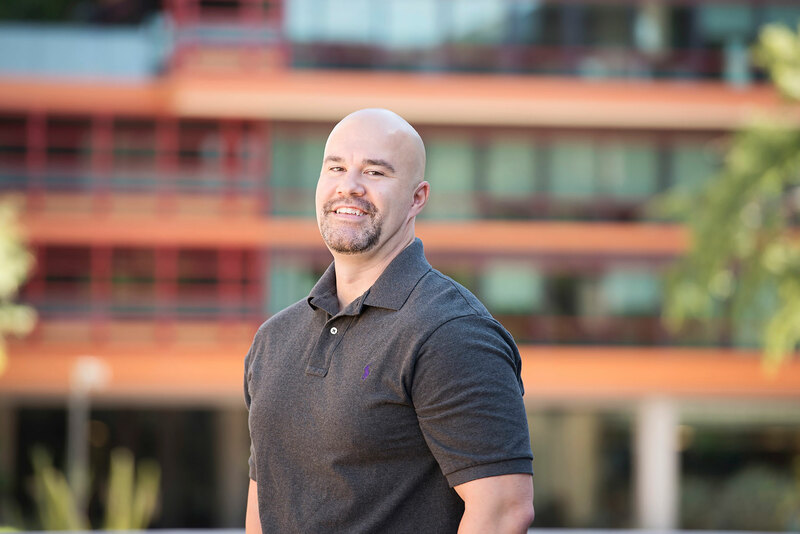 As a landlord leasing representative for Ensemble’s Las Vegas portfolio, Robert provides expert assistance and insight for clients in achieving their unique needs and targeted outcomes. He is responsible for the leasing of the Las Vegas/Henderson portfolio for United Health Realty Income Trust. Outside the office, Robert enjoys taking the time to go golfing, hiking, birding (and more golfing). 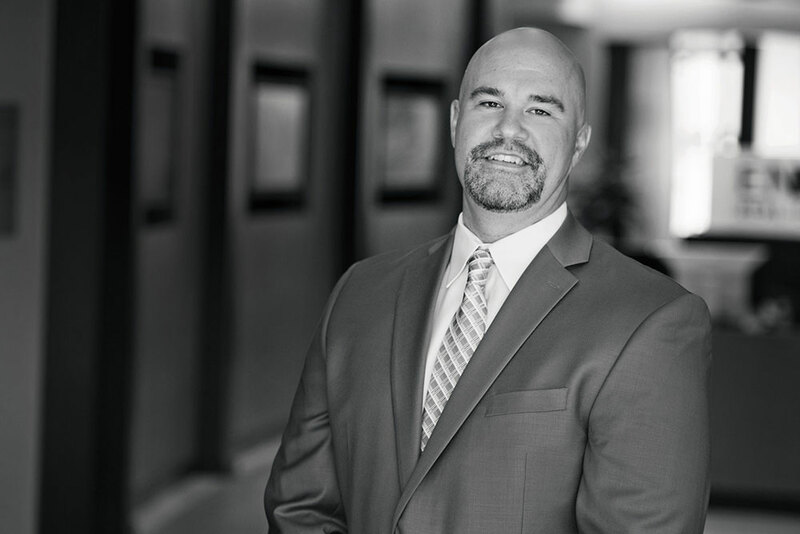 A seasoned professional with more than 26 years of experience, Murray Gares has successfully represented hundreds of tenants and buyers during his career, including individual practitioners, major hospital operators and municipalities. 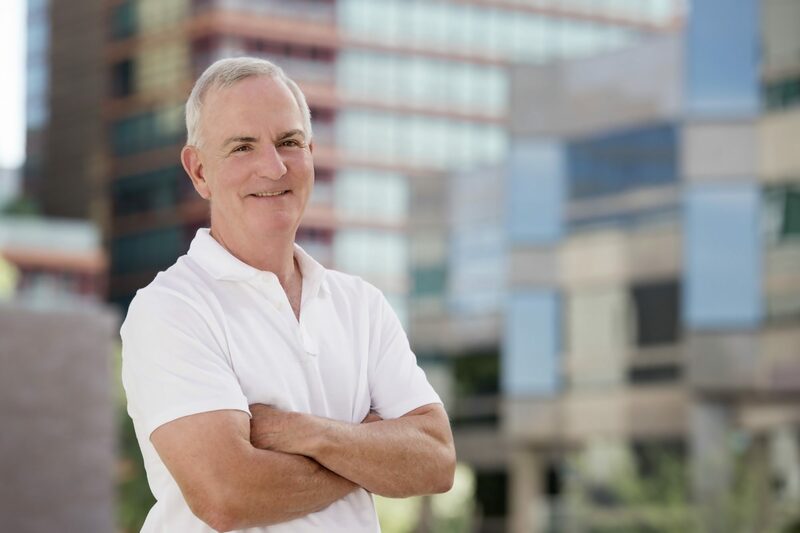 Originally from Canada, Murray has lived in Arizona since 1989, and is an invaluable source of in-depth local market knowledge relating to both medical and general office. At Ensemble, Murray represents tenants and buyers through all phases of the transaction process—from identifying properties to negotiating lease terms and language. He also provides insightful project management for the tenant improvement and move-in process. Murray enjoys all sports with an emphasis on tennis, golf, hiking and skiing. He is also an avid traveler and belongs to wine tasting and gourmet dining groups. 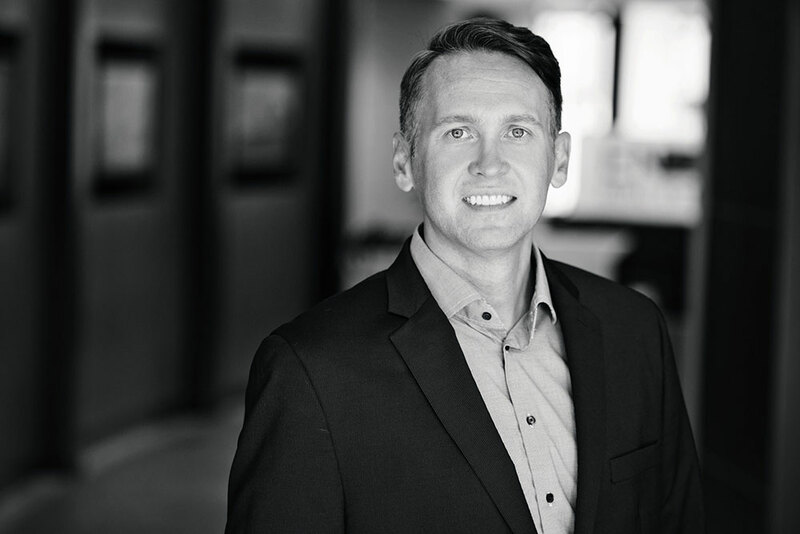 An experienced marketing executive with a 15-year track record of driving impactful internal and external marketing and communications to maximize business growth, Nathan Mercer oversees Ensemble’s marketing department. Prior to joining Ensemble, he held a long-term marketing management role with a national commercial construction company. In this position he oversaw the company’s communications group where he was responsible for the company’s communication strategies (overall company and construction project-based) as well as producing RFP responses and presentations to secure many high-profile hotel, stadium/arena, hospital and convention center construction projects. Nathan leads all of Ensemble’s marketing and communication initiatives by developing corporate brand and marketing strategies (digital and traditional). He oversees internal and external communications, drives business development initiatives and manages public relations for all Ensemble offices and lines of business. 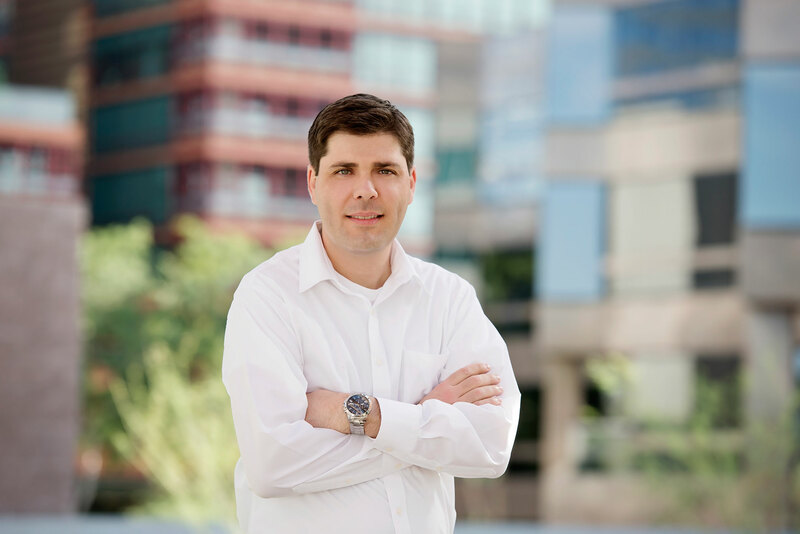 In his spare time, Nathan enjoys international travel, spending time with family and friends, hiking Arizona’s mountains, and hanging out in the walkable urban core of Phoenix. Autumn Storm brings proven expertise in brokerage, development and financial analysis to Ensemble’s leasing, sales and investments teams. Most recently, she took on the role of Investment Associate, working on hotel and real estate development opportunities. Previously a Healthcare Brokerage Agent at Ensemble, she closed a high volume of lease and sale transactions for medical offices. Benefiting from a wealth of diverse experience, Autumn works closely with Ensemble’s Chief Investment Officer of hotels – along with other executives – to source and evaluate potential deals, determine market feasibility, and execute potential development and acquisitions opportunities. In addition to maintaining connections with brokers, owners and other industry luminaries to source potential deals and navigate market trends, Autumn also conducts extensive research to track markets of interest, monitoring alternative construction strategies and trends in hotel and real estate development. When she’s away from the office, Autumn enjoys yoga, hiking, road biking, and playing the guitar. Born and raised in San Diego, Sam Pierzina joined Ensemble after graduating with a Business Economics degree from UCLA. In years prior, Sam worked as a system auditor for a technology group, providing daily assistance to the company VP and collaborating with engineers to improve operational efficiency. He also worked for a business consulting firm, where he researched, analyzed and reported on market trends—and developed performance analysis reports for 22 different clients. 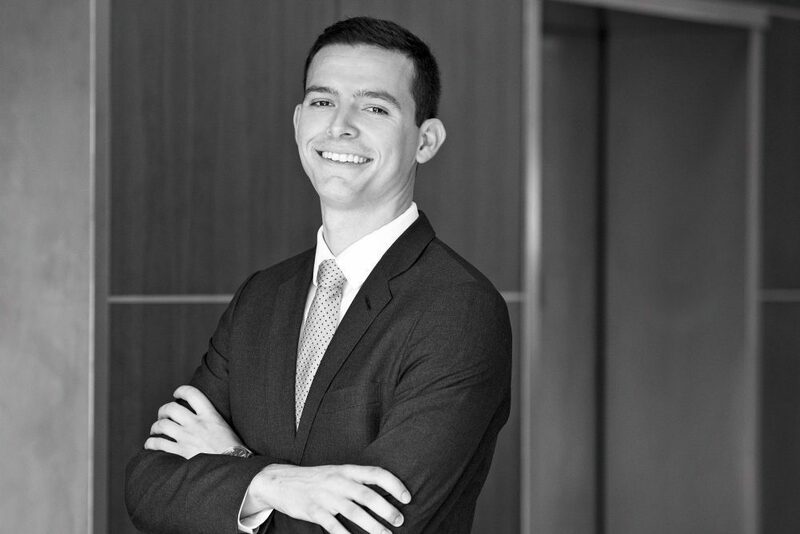 In support of the VP, Finance and VP, Analytics, Sam is responsible for underwriting prospective investments, as well as performing the required due diligence and market research necessary to make an informed recommendation. Additionally, he is responsible for both internal and external investment reporting throughout the tiered stages of pre-development and into operations. Sam’s hobbies include camping, hiking, and getting away on the weekends. Grant Nassif joined Ensemble in 2017. Prior to Ensemble, he worked in Transaction Advisory Services at EY in Los Angeles. As a financial analyst, Grant performed business valuation analyses for mergers and acquisitions in support of tax and financial reporting. 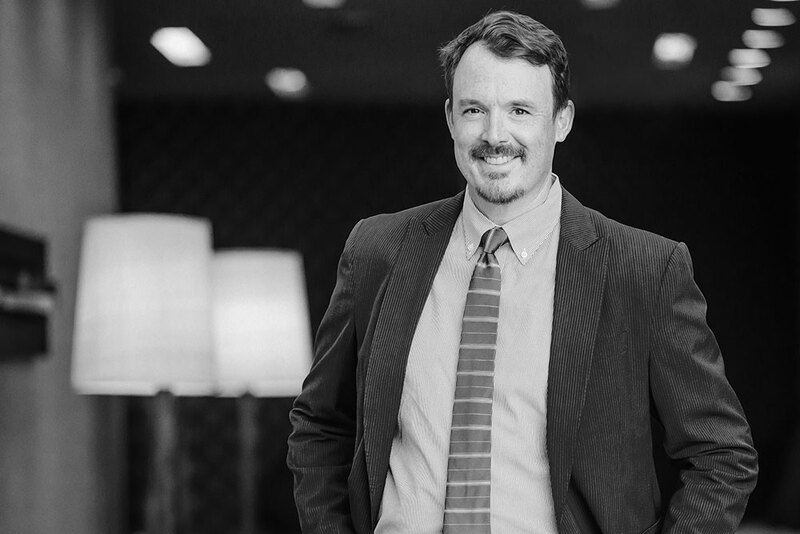 As Associate, Grant is responsible for the analytical overview of Ensemble’s portfolio of assets in order to constantly shape each asset’s business plan in an ever-changing market. By utilizing data from asset managers, property managers, competitive properties and capital markets, Grant is able to provide continuous recommendation to Ensemble’s senior leadership in an effort to maximize profitability. Additionally, Grant manages investor reporting and the feasibility for new acquisitions. Born and raised in San Diego, Grant is a Southern California native. His hobbies include playing drums, golfing, traveling, and watching Oklahoma Sooners athletics. An expert financial analyst, Lilian provides development and acquisition support to senior professionals at the firm. Prior to joining Ensemble, she worked for UC Berkeley as well as for a number of startup organizations. 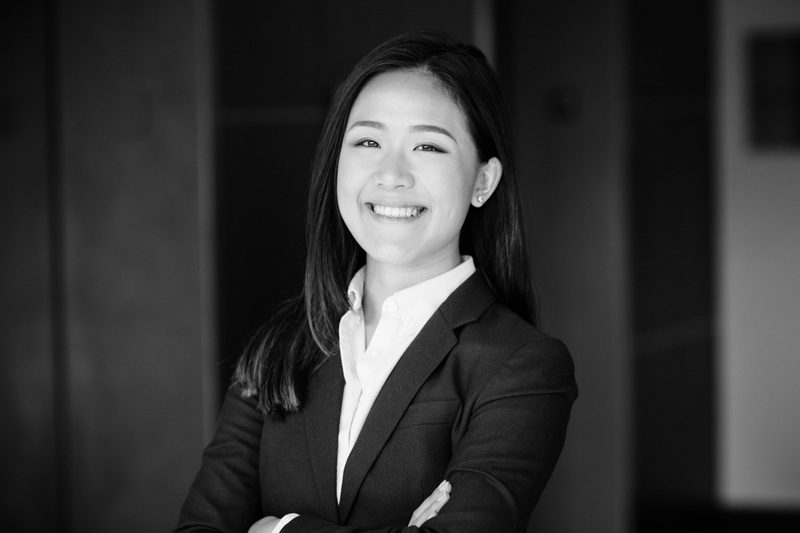 Lilian analyzes and underwrites potential acquisition opportunities, including performing due diligence, conducting market research, and modeling cash flows and deal structures. She also monitors asset performance, and provides decision support along with assisting entitlement and development activities. In direct contact with brokers, appraisers and developers, Lilian also assembles and gathers market data including rental and sales comps, vacancy rates, and expense comparables through independent fieldwork. Outside the office, Lilian is a busy do-it-yourselfer, making everything from jewelry to furniture. She also recently started a blog, writing about her life’s adventures as well as traveling and studying abroad tips. 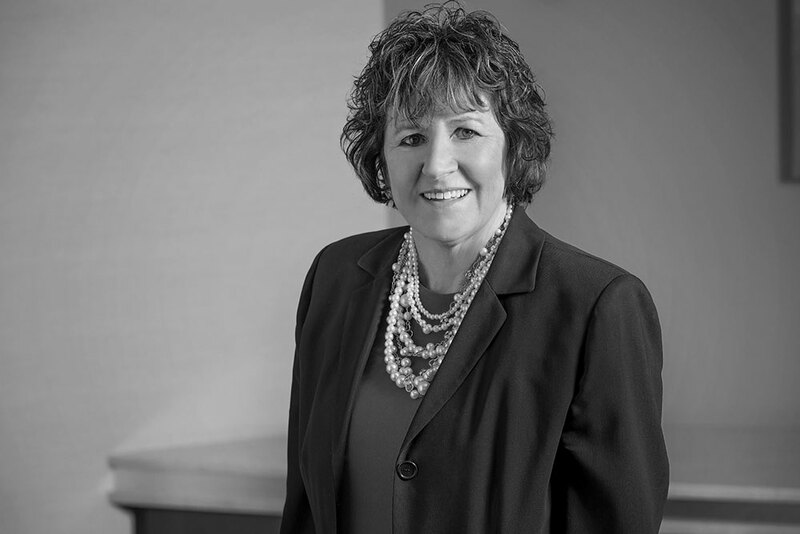 Peggy Himmelspach has served as a project/property/facility manager in healthcare, retail, office, banking and industrial environments for more than 20 years. Her experience includes construction project management, budget preparation, lease management, bid analysis, space planning, vendor management and furniture reconfiguration. At Ensemble, Peggy oversees the Design and Construction Department for the company’s medical office buildings and also serves as a project manager for Ensemble’s hospitality portfolio. 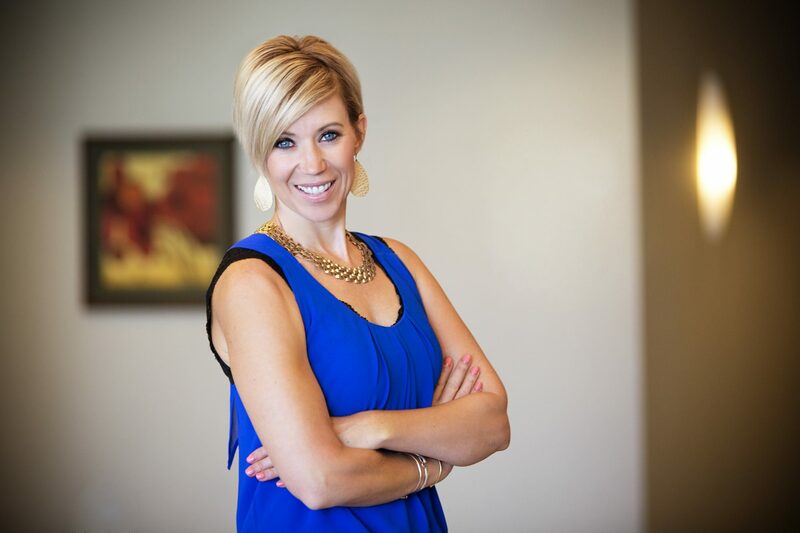 She assists the team in managing numerous renovation projects throughout Phoenix and Las Vegas. This includes space planning with leasing agents and tenants, reviewing and approving construction documents, working with city officials to obtain building permits and inspections—all while working closely with architects and general contractors to assure the contract is performed accurately. The team oversees the entire construction project including move-in, but also ensures that the scope of work has been completed on time and within budget. 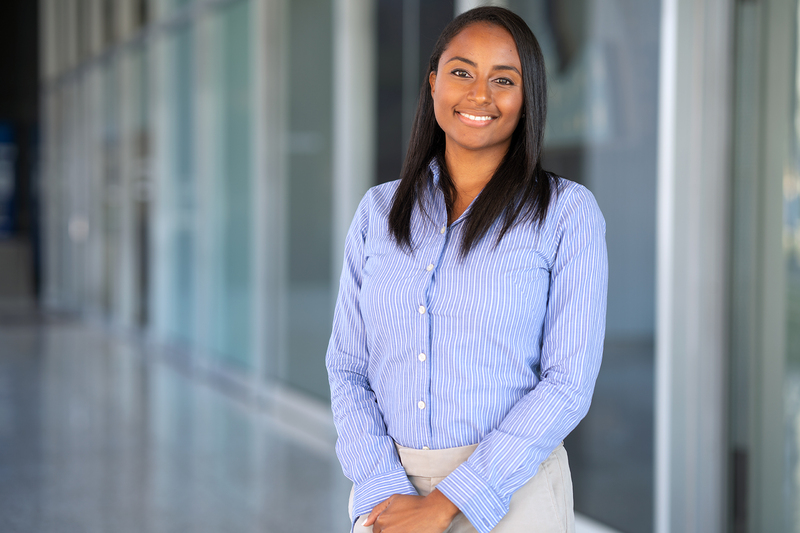 An experienced development professional, Jewelle manages project schedules and budgets, and coordinates required governmental approvals, entitlements and permits. 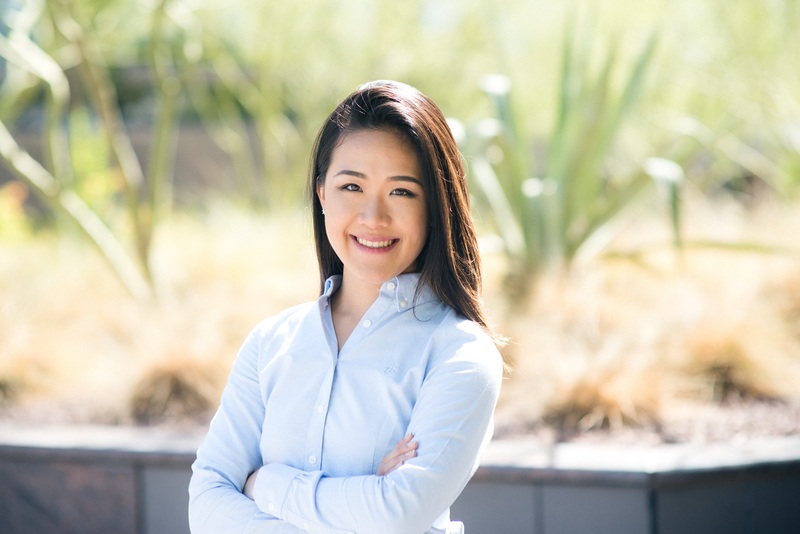 She was previously with AvalonBay Communities, Inc. a multifamily REIT, offering vital project management and financial analysis support for all of the company’s new development activities and acquisitions in Southern California. At Ensemble, Jewelle manages the design and construction process, including architects, engineers and consultants, and acts as Owner’s representation in contract negotiations. 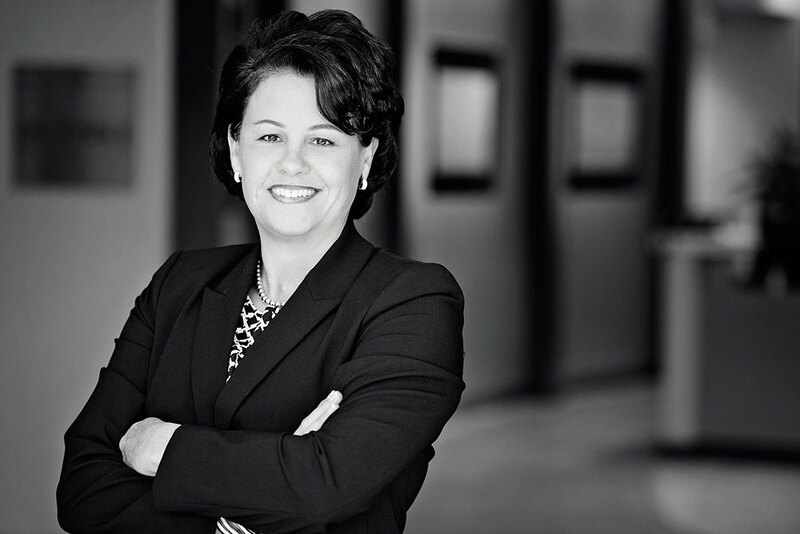 She works directly with the SVP of Development Services, as well as with the company Principals and Managing Directors, on decision support and project execution. Outside the office, Jewelle takes time to mentor young, aspiring real estate developers, and volunteer for Habitat for Humanity. She is also pursuing a trip to every country, and in the last 10 years has traveled around the world to more than 40 countries across six continents.